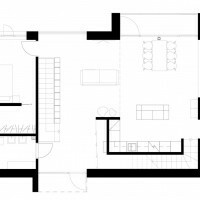 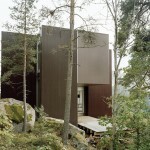 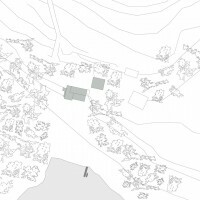 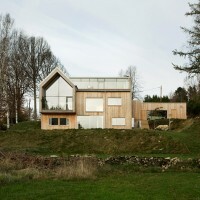 Kjellgren Kaminsky Architecture have designed Villa Bondö, a family home near Gothenburg, Sweden. 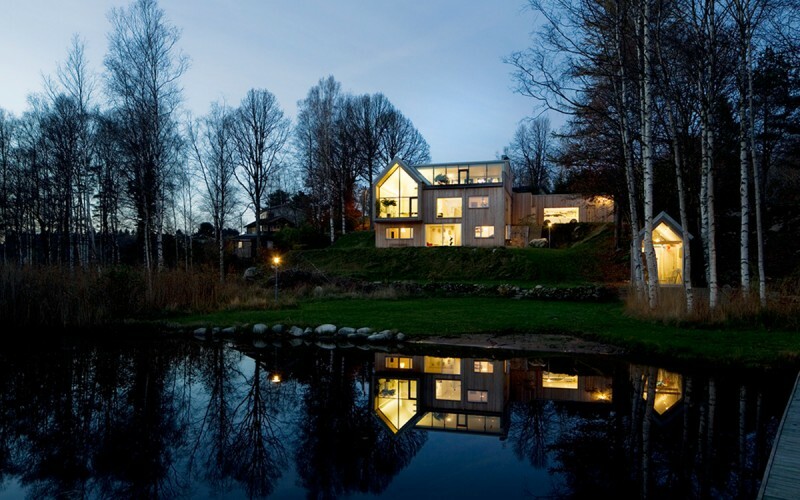 In the outskirts of Gothenburg, overlooking a beautiful lake surrounded by birch and pine, you find Villa Bondö, a family house with a seamless interior. 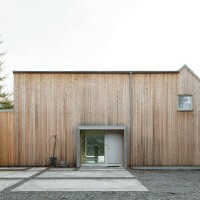 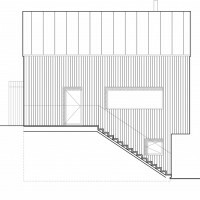 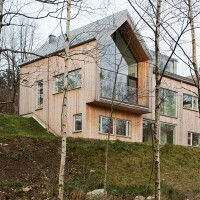 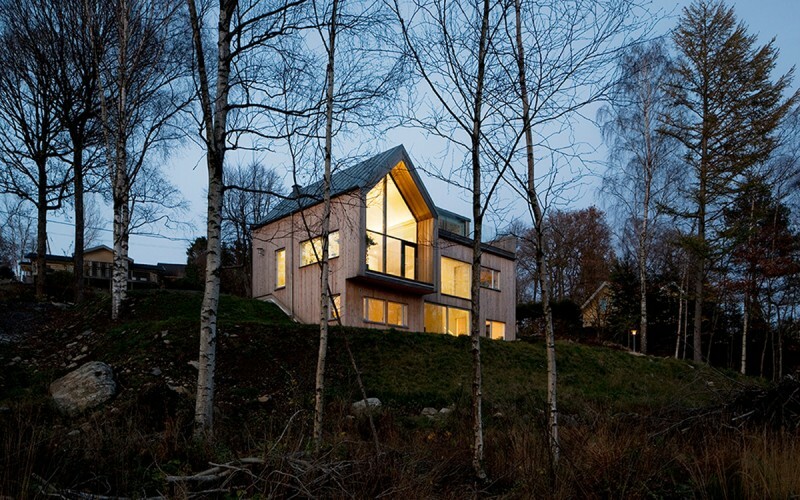 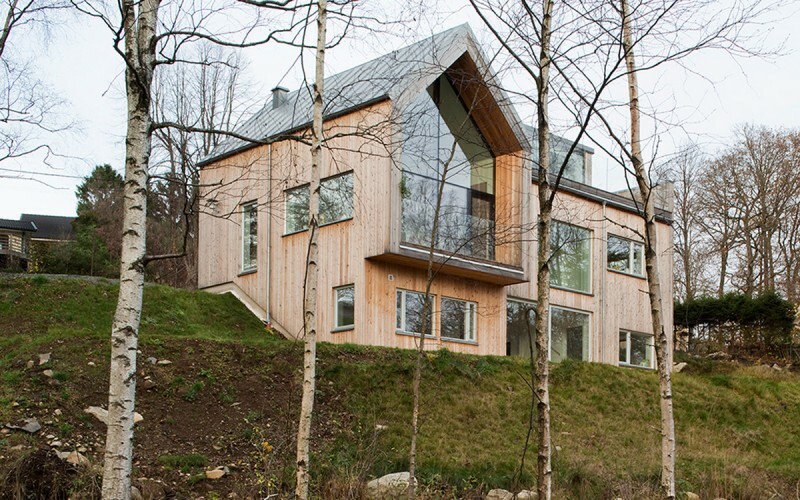 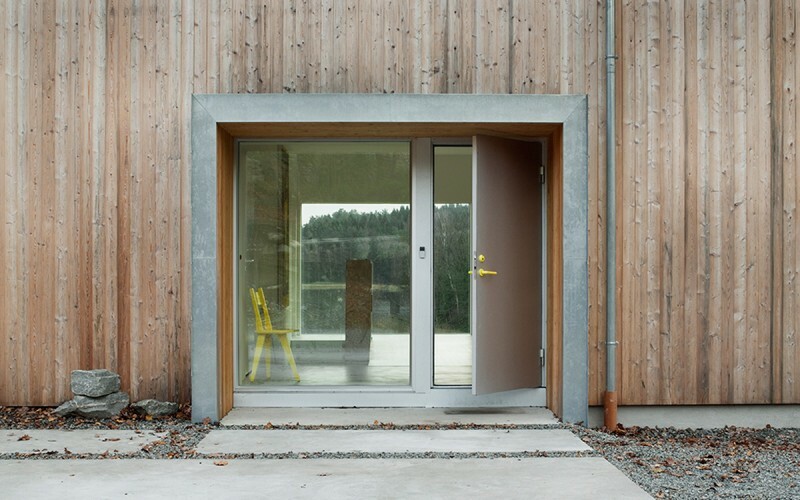 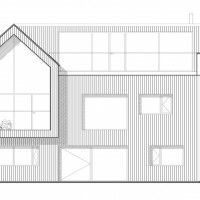 The volume, clad in larch with a Rheinzink roof, which climbs down and opens up the building towards the lake. 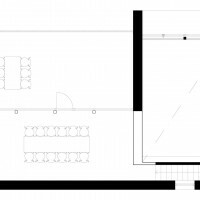 The main character of the building is “the church”, a gable-roofed extruded space facing the lake. 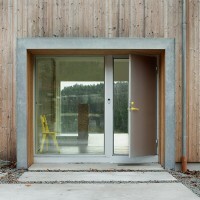 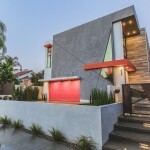 The closed entrance facade is shielding the view while arriving. 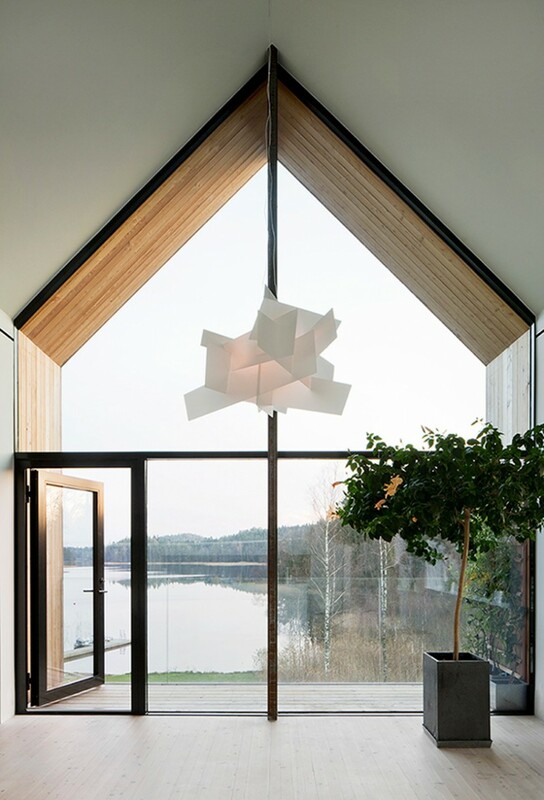 Before entering the house you can glimpse the lake through the glassed entrance window and sense the church in the contours of the building. 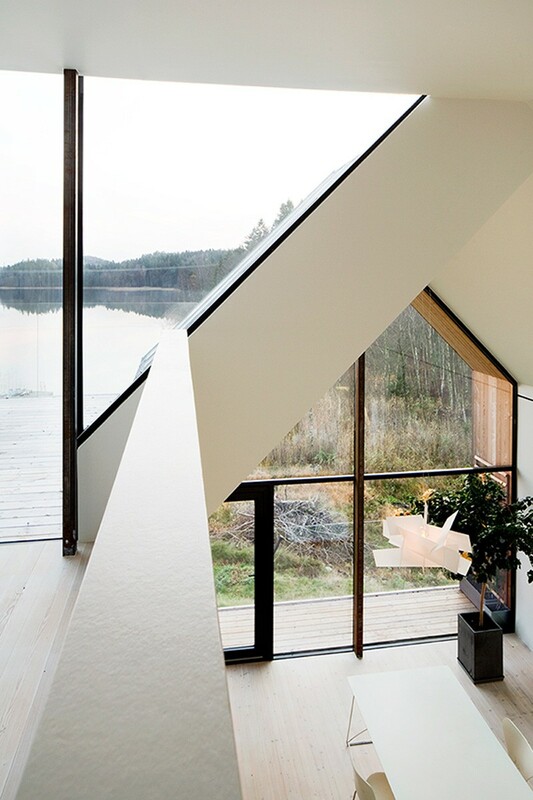 When inside you will experience the breathtaking view as the building is opening up. 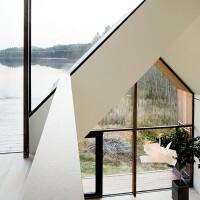 In “the church” you find the kitchen where you have a panoramic view of the lake and the forest. 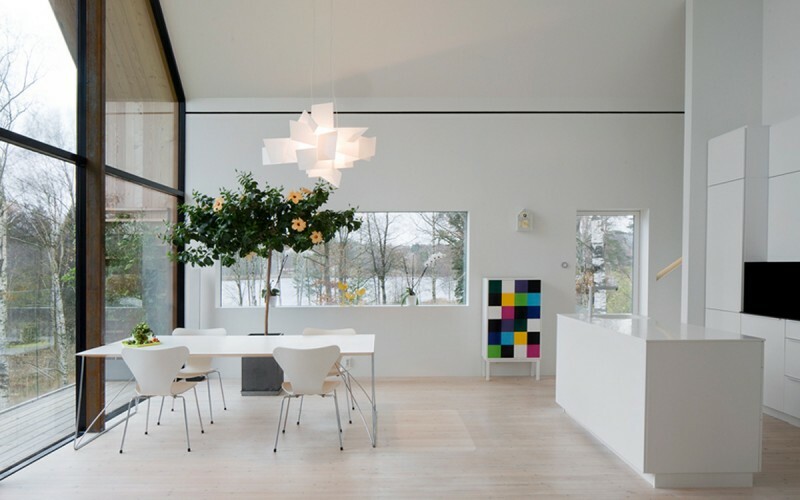 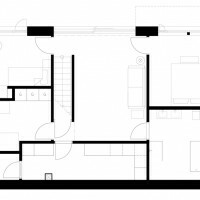 The minimalistic interior is seamless and white with black details with specially designed details.